The Florida Department of Agriculture and Consumer Services recently confirmed the detection of laurel wilt disease in a Persea sp. from Manatee County. The location was approximately 3 miles west of Myakka City on SR 70 (27.36756, -82.21082). Laurel wilt is an exotic, lethal disease of trees in laurel family including the natives redbay, swamp bay and silk bay, as well as avocado. In another post I’ll go into detail on this disease. Two separate exam prep classes will be held to help you prepare for the Core and Private Applicator RUP license exams. Exams will be offered immediately following the classes. However, you do not have to take the exams the same day. You may schedule a time to take the exams at your convenience. You may take one class without the other, if needed. If you are already a license holder, 2 CEUs in Core and 2 in Private are offered for both classes, respectively. Light snacks will be offered. The WPS TTT workshop provides CEUs in several categories. Even if you don’t need to be WPS certified, don’t miss this opportunity for CEUs. 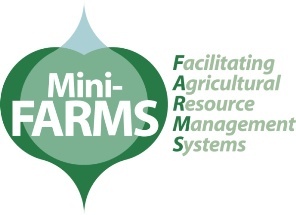 CEUs available: 2 in the following categories: Aerial, Ag. Row, Ag. Tree, O&T, Private, Forest Pest Control, and Soil and Greenhouse Fumigation. 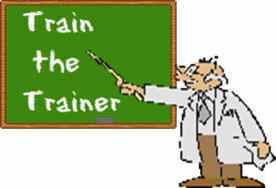 Need to become a WPS certified Trainer? The Worker Protection Standard (WPS) is a federal program designed to protect agricultural farm workers in the production of agricultural plants. A person is qualified to teach WPS to farm workers if he/she holds a restricted use pesticide license or if he/she has completed the WPS Train the trainer course. Once a person has completed the course he/she is certified for life. GAINESVILLE, Fla. — Although reports of drought conditions, water wars and restrictions have often painted a bleak picture of the nation’s water availability, a new University of Florida study (http://news.ufl.edu/2013/01/30/water-supply/) finds that conditions aren’t quite so bad as believed. So Jawitz and Padowski looked at 225 U.S. metropolitan areas with populations of more than 100,000 from an ‘infrastructure’ point of view. The difference was dramatic. 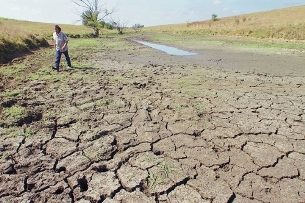 The older runoff-based studies found 47% of the U.S, population was vulnerable to water scarcity. The new infrastructure-based study found that only 17% of the population was vulnerable. The Florida Department of Agriculture and Consumer Services (FDACS) has established a cost-share program to help producers enrolled in FDACS BMPs purchase on-site weather stations and temperature sensors. Funds are available on a first-come, first-served basis. Producers who own operations with less than 300 acres of production land may apply for one station and up to five temperature sensors for each operation. Producers who own larger operations may apply for one station and up to five temperature sensors for each 300 acres of production land on the operation(s). FDACS will provide 75 percent of the cost up to a $25,000 maximum per producer, with a $5,000 cap per station/sensors set (see table below). The stations will be installed by a company that agrees to meet the approved specifications, at the on-site location(s) the farmer designates. These weather stations will collect real-time information throughout the year on rainfall, air temperature, relative humidity, dew point, wind speed, and wind direction. The information will be accessible to producers on their smartphones and computers, through a University of Florida Automated Weather Network (FAWN) website. Why purchase a weather station? Better determine when to delay irrigation after rainfall and when to irrigate during frost/freeze events, which can reduce water use and save costs on pump operation. Better determine when to use fungicide or pesticide sprays or foliar fertilizer applications, which can avoid waste and save related costs. Enhance the potential for reducing the pumping of surface and ground water and the runoff and leaching of fertilizers and other farm chemicals into water resources. Do you know someone looking for a part-time job supporting the? Extension is looking for part-time worker to replace Kathy Oliver as Ornamental Production IPM Scout / Program Assistant. Kathy is now assisting the Master Gardener program full-time. This position performs programmatic and public service duties related to the area of assignment. Work involves assisting the Extension Agent in the implementation of the Ornamental Production Horticulture Program. 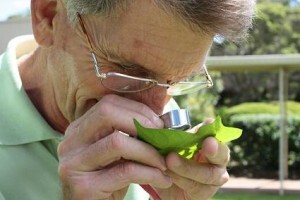 This position performs scouting for insects, mites and diseases at cooperating nurseries. Maintains records of scouting activities; informs Ornamental Production Agent and helps solve problems. Performs soil testing and/or other duties to assist agricultural agents with their duties. Performs other related work (including weather or extreme emergency duties) as required. High school graduate/equivalent. Associates degree highly desired. Minimum of 2 years experience related to skills above. While some of that may be understandable, let me add some information. We’d like to find someone with experience in the Ornamental Production industry. Local experience in Manatee or Sarasota Counties is a plus. Knowledge of IPM (Integrated Pest Management) is required. Experience scouting in ornamental production nurseries and working with growers to solve problems is highly desired. We prefer a self-starter who can work independently. Knowledge of standard office technology – MS office, Word, Excel, etc. is required. This position will be responsible for testing soil and water pH and EC for growers and other commercial horticulture professionals. Training will be provided. This position will also coordinate the annual Manatee County Youth Plant Project & Auction. Responsibilities involve working with many groups and individuals; youth, FFA and 4-H leaders, Extension personnel, volunteers, etc. to plan and carry out the annual Plant Show & Auction. Training will be provided. Required skills include effective communication and team building. Pay is $12.18 – $18.59/ hour. The position is part-time, 20 hours/ week.